These two lovebirds are super cool and laid back and really wanted their engagement shoot to reflect that. SO, we went to brunch at their favorite spot, Taverna, and ate brunch and drank mimosas together. Then we went to their new awesome loft near downtown Dallas that they had just moved into. 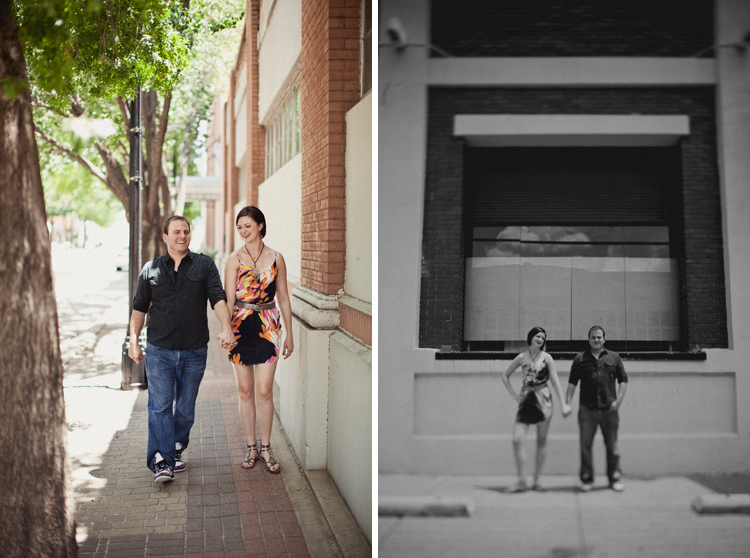 We thought it would be awesome to shoot in their new home that they would build their life together in and around their new Deep Ellum neighbor hood. We had a blast. Inappropriate jokes flew. The dog peed on the floor. Laughter echoed off the walls. Success.